Hey you guys! Thanks so much for all your kind comments about the knee yesterday — made me feel so happy! And so glad that it’s getting better, really missed all of you! Now as promised, here’s the first of several cards that I made for Studio Calico to use in their booth at CHA — I was so honored to make cards for them as I love their style. It’s got such a fun, playful, vintage vibe to it that I’m really drawn to! I love this butterfly stamp — you’ll be seeing a few more cards I made with it later, ha ha! For this version, I got out my ancient set of Crayola watercolors and colored them in, then while it was still wet I splattered them with gray. Love how they turned out, don’t you? 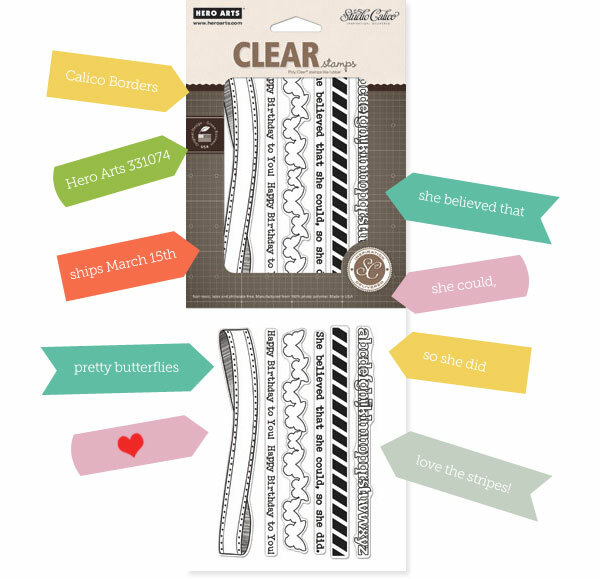 Here’s the set the butterfly stamp is from, it’s called Calico Borders! And the paper is all from the new Classic Calico collection 6×6″ pad — that book paper is so versatile, I want to use it on everything! I stitched the butterflies on with silver metallic thread, added some bling and that was that! 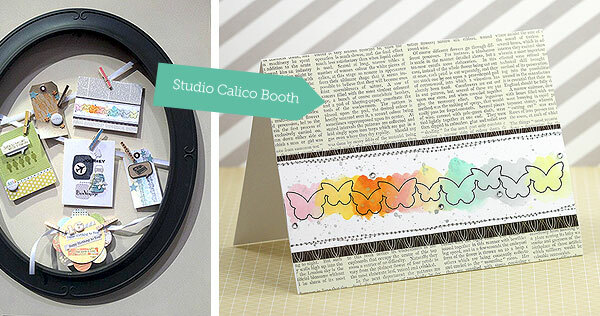 Studio Calico Please Note Collection! Oh wow, now i’m really sorry i missed this in person! 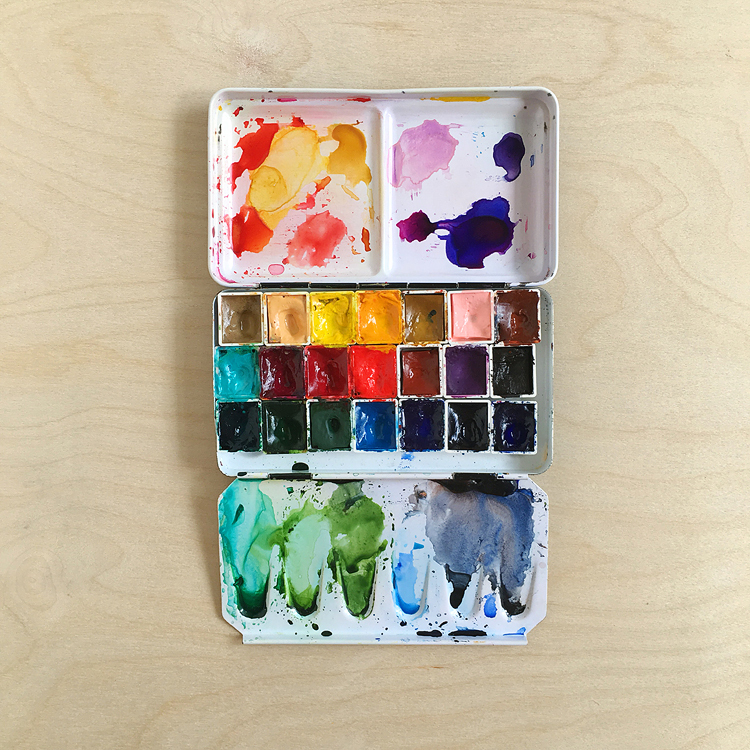 it’s absolutely adorable, Lisa…love the watercolor rainbow splatters! Wow!! Now I’m REALLY disappointed I couldnt go to CHA!!! This is quite possibly my favorite card EVER!!! I’m so in love with it!!! I need to get me some watercolor paints NOW!!! Thanks for a better view of this kool card! Yesterday I said I loved it, now I love, love, love it! The splattering is “spot” on – ha! I can’t see this stamp on their site, tho. Thanks for sharing. Can’t wait for more! Nice to see you back Lisa. This entire catalog is on my wish list! Love what you do with these stamps, this card is FABULOUS! YAY!!! Lisa you are back and what a card to debut with!!! Fantastic and thanks so much!!! LOVE those projects!! So gorgeous. 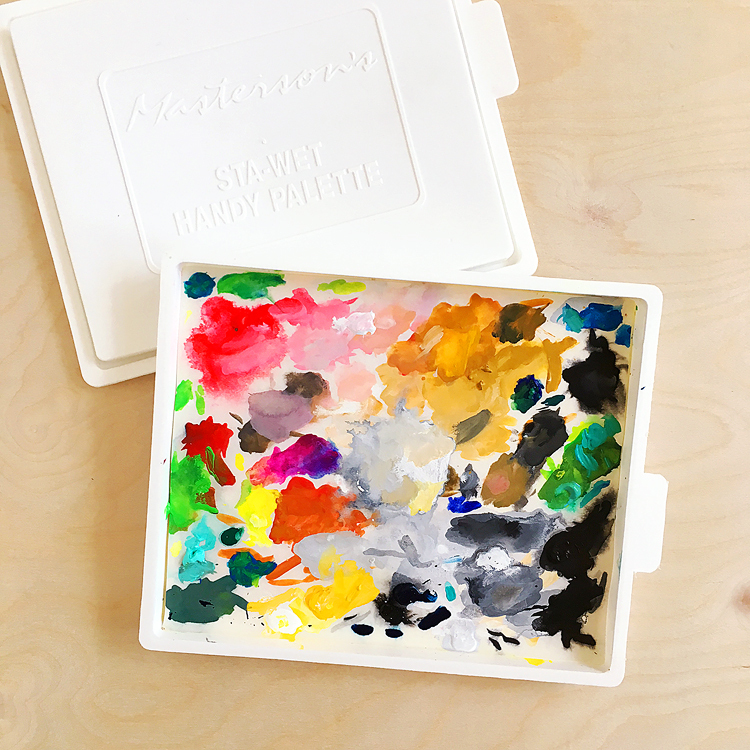 I love the splashes of colour on the card – stunning! That’s a great card design! That paper is a must have! I really love the card! Definitely will have to have those lovely stamps! LOVE!!! I MUST have that stamp set!! LOOOOOOOOOOVE……This Card!! I must get those stamps…so perfectly Fun!! xoxoxo! Absolutely gorgeous! Love the water colors and design! Have a GREAT weekend, Lisa! such a beautiful and delightful card, Lisa! love love the watercolor background. and i NEED this set!! =) thanks for sharing! Wonderful card, Lisa! I love the effect of the watercolours, stamping and splattering! Love the way the panel really pops against the b&w background!